If you have received a re-enrollment letter with a verification code, click here. 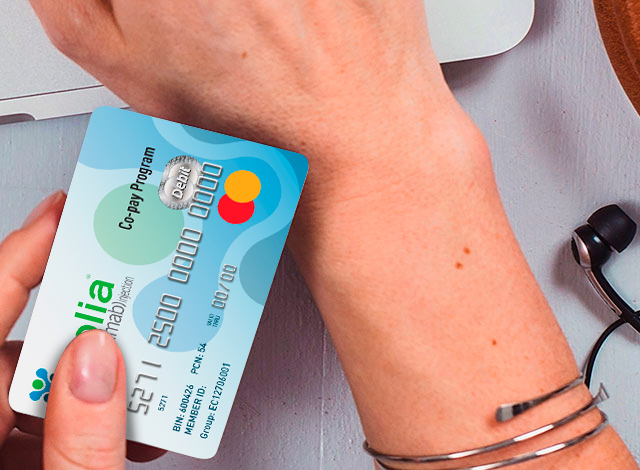 To register your Prolia® Co-pay Card, just follow these 4 steps. After you answer a few "Yes" or "No" questions, we'll determine if you're eligible for the Prolia® Co-pay Program. You'll be asked to provide personal information, such as your name, address, and birth date. You'll need to have your Prolia® Co-pay Card (if available) and Commercial Insurance Card to fill out this section. You'll need to enter your doctor's first and last name, as well as the city and state of his/her office.